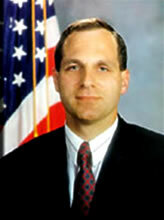 Louis Freeh, who served as FBI director from 1993 to June 2001, was seriously injured Monday afternoon in a single-vehicle car crash in Vermont, CNN reported. CNN, citing a U.S. law enforcement official, said Freeh was undergoing surgery for unspecified injuries. He was transported by helicopter to Dartmouth Hitchcock Medical Center in Lebanon, N.H., CNN reported. Posted: 8/25/14 at 10:54 PM under News Story.